Nokia could be about to introduce a smart, AI-powered assistant app of its own called Viki, if a trademark application just unearthed by Dutch blog GSMinfo is anything to go by. If and when Viki turns up at the party, it will be joining a crowded field: Siri, Google Assistant, Cortana and Alexa are all well established, and Samsung apparently has something similar in the pipeline called Bixby. The trademark is for "software for the creation and monitoring of mobile and web digital assistants working with knowledge and combining all data sources into a single chat and voice based interface", according to the paperwork. If you're confused about what exactly Nokia is up to these days, we don't blame you: the smartphone parts of the company were picked up by Microsoft in 2013, but that deal never really worked out for anyone involved. 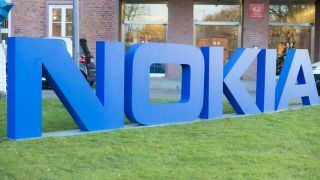 Nokia carried on as a telecommunications and technology company and late last year it got back the rights to use its name on mobile phones again. Finnish company HMD Global has since inked a deal to produce handsets with the Nokia badge on them. That means new Android phones under the Nokia name during 2016, and they may well come running their own AI assistant called Viki. We'll have to wait and see whether it has enough smarts to stand out from the rest.